A brief documentary from the dawn of the Space Age is a charming time capsule of early study, events, and doubts. The documentary covering the then-cutting-edge bioastronautics study is fascinating. 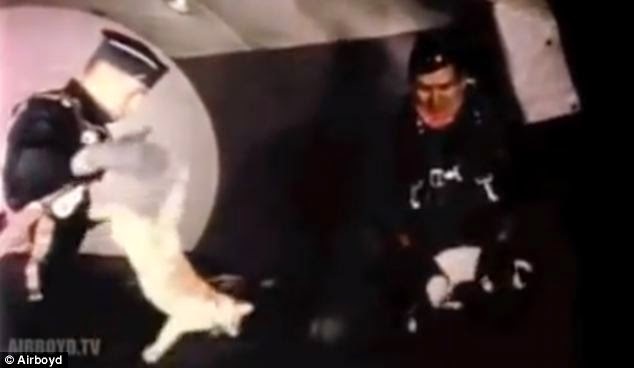 In just under 14 minutes, the speaker steadily covers launching people with an F-104 and F-106 ejector seats; throwing cats and birds with zero-gravity airlifts in a C-131 airplane; leaving a test subject in body-temperature water for 24 hours to comprehend what it does to their patience for acceleration or heat, and their capability to complete composite co-ordination tasks; and lastly dropping, shaking, and slanting test subjects in a range of rigs to see what will come about. The video is about 13.5 minutes long; it's just as incredible as it sounds. The water tank test is nearly a quick kind of a sensory deprivation tank, dipping the subject in body-temperature water for 24 hours. The drop-rigs are grounded on the Mercury capsules, confirming that future-astronauts can reasonably live the bumpy landings without being splattered on impact. And through it all, that definitive era-narrator keeps a calm, sometimes proud demeanor, never once busting out in amusement or shock at the experiments by request, Airboyd also issued a clip of just the confused pigeons, tracked by the same clip in slow-motion for additional disoriented-flying action. It's much more bite-sized, taking up less than a minute of your time. Pigeons flying in zero gravity are reasonably confused to be woken up and thrown around, but they can still fly. And contrasting the weightless-kitten-clip, no one informally kicks them into the ceiling.